Here at D&H Transport Services we offer a 24-hour courier service. We guarantee to collect any parcel within London's north and south circular within 45 minutes. Our delivery services are fast and we ensure that all your goods are delivered securely. D&H Transport Services are here to help deliver your package from A to B. We offer a warm and friendly service from our fully trained staff, who will transport all your packages quickly and with the utmost care with our courier service and all other services that we provide. We ensure fast and secure delivery all over the UK and Europe. We offer both same day and next day parcel delivery service, providing the right service for your courier needs. If you live within the North and South London circular then we can collect your parcel for delivery within 45 minutes. Our parcel delivery is very secure; we always obtain a signature and have our staff carry out a delivery worksheet to ensure accuracy. Our two-man courier team ensures that you get an even faster and secure courier service. We offer a flexible service that can work around your schedule. Delivering parcels and important documentation on time. We understand that that you need a reliable service, therefore we track all our courier services to ensure that we a dependable. We also offer a car delivery service, visit our car delivery page and find out about our car transportation service. D&H Transport's staff will all wear uniform and carry an ID badge to ensure that all our customers are receiving and providing their goods to the correct service provider. All our vehicles have GSP tracking system to ensure we know where your goods are at all times. Our drivers also use satellite navigation to ensure that all routes are considered to ensure speed of delivery. All of our drivers work for D&H, we don't sub contract to ensure a quality service. We ensure these policies are also followed by our staff when you use our removal service, man and van service and by the staff member that you will be in contact with for our van hire and removals service. D&H offer a light haulage service of goods. Our vehicles have a 5-euro or 4 standard pallet capacity, which is up to 1350kgs. We ensure that all our pallets are fastened down securely or in a contained van. 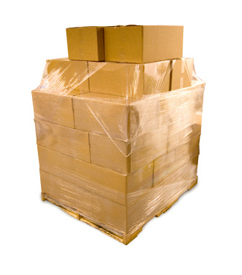 All pallets are also shrink wrapped before moving so that all items remain on the pallet itself.